SAN FRANCISCO, Mar. 29, 2016 – Sony Electronics, a worldwide leader in digital imaging and the world’s largest image sensor manufacturer, has today introduced two new full-frame lenses for their E-mount camera system, the FE 70-300mm F4.5-5.6 G OSS telephoto zoom and 50mm F1.8 prime lens. The new FE 70-300mm F4.5-F5.6 G OSS zoom lens represents the first Sony α E-mount lens to reach a 300mm focal length, featuring high resolution and excellent overall optical performance throughout the entirety of its range. The new 50mm F1.8 prime lens is extremely compact, lightweight and affordably priced, making it an ideal choice for those looking to explore the benefits of a large aperture prime lens at a reasonable cost. “We’re continuing to build out our FE lens lineup, offering more variety than ever for today’s imaging enthusiasts,” said Neal Manowitz, Vice President of Digital Imaging at Sony Electronics. “Representing two of the most requested focal lengths by our customers, the new 70-300mm zoom and 50 F1.8mm prime become ideal choices for those looking to expand and enhance their Sony α kits. 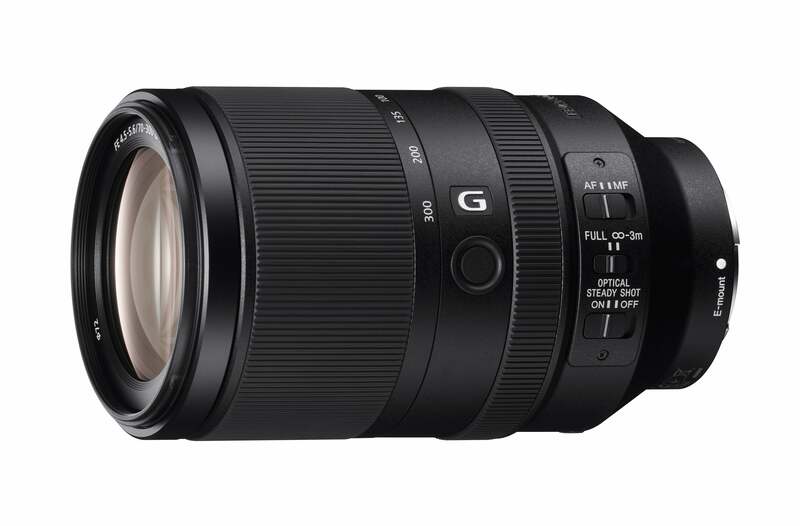 Sony’s longest reaching E-mount lens to date, the new FE 70-300mm F4.5 – 5.6 G OSS telephoto zoom lens (model SEL70300G) features a state-of-the-art optical design including four aspherical glass elements, two ED (Extra-low Dispersion) glass elements and Sony’s Nano AR coating, which all work together to effectively suppress spherical aberration, distortion, and chromatic aberration. This ensures beautiful high-resolution results for both still and video shooting. The new telephoto zoom lens also features class-leading close-up performance, with a minimum focusing distance of less than 3 feet (0.9m) and a maximum magnification of 0.31x, making it an ideal choice for tele-macro photography. This outstanding close-up performance also factors into the lens’ excellent corner-to-corner sharpness. The versatile zoom lens includes built-in Optical SteadyShot image stabilization that helps to reduce camera shake, making it easier to capture clear images when shooting handheld. Additionally, the new SEL70300G model has a linear actuator that allows it to achieve fast, smooth and quiet autofocus and is also dust and moisture resistant1 to ensure reliable operation in harsh outdoor conditions. The lens features a new optical design with an aspherical element that effectively compensates for all forms of aberration, resulting in beautiful, crisp imagery. Additionally, it has a circular aperture with a maximum of F1.8, producing beautiful ‘bokeh’ in images that allows the subject to stand out against a smoothly defocused background. For extended durability, the new prime lens is built with a solid metal mount. The new FE 70-300mm F4.5 – 5.6 G OSS telephoto zoom lens will be available in May for about $1,200 US and $1,700 CA, respectively. 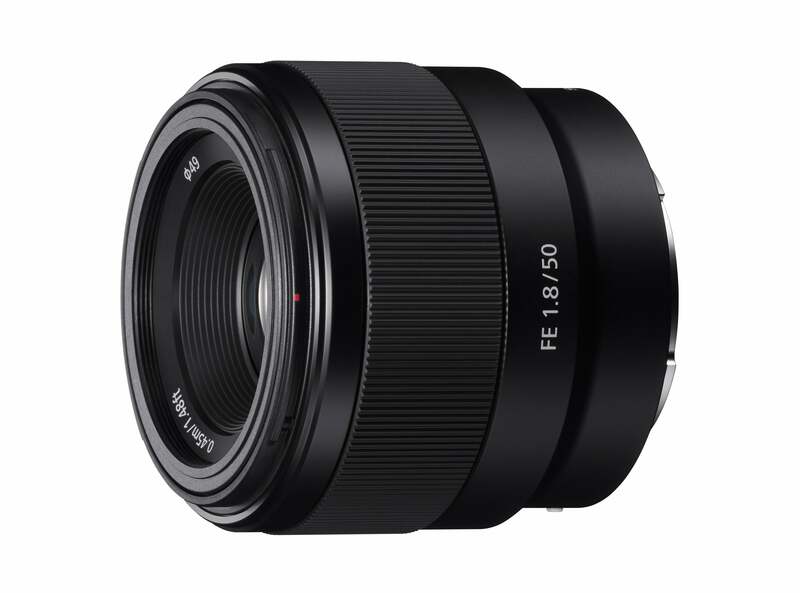 The new FE 50mm F1.8 prime lens will also be available in May for about $250 US and $350 CA, respectively. Both of the new FE interchangeable lenses will be sold at a variety of Sony authorized dealers throughout North America. A variety of exclusive stories and exciting new content shot with the new lenses and other Sony α products can be found at www.alphauniverse.com, Sony’s new community site built to educate, inspire and showcase all fans and customers of the Sony α brand. Content is also available for viewing at the sony.com product pages for the FE 70-300mm F4.5 – 5.6 G OSS telephoto zoom lens and the FE 50mm F1.8 prime lens.